So summer perfect! Would love waking up to the sound of the waves as well. That's dreamy, you look so fresh and relaxed, keep having a great time! Right now we're freezing in Lima, so looking at your pictures is quite refreshing! 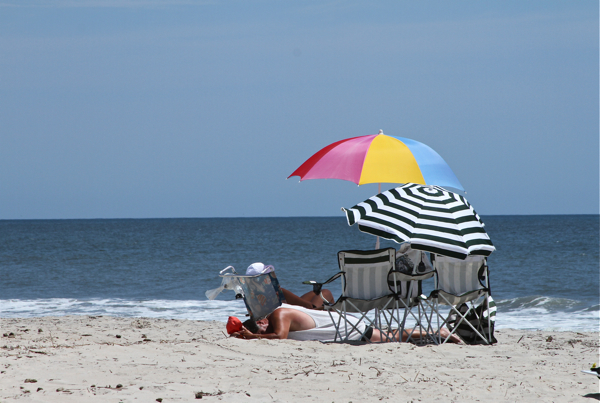 I wish I was at the beach! Your pictures are amazing! Очень классные фотки. Ел ты супер!!! great pictures, great outfit ! this is such a perfect beachy look - and i love that striped umbrella! Gorgeous photos!! We want to go to the beach! There's nothing better than catching waves during summer. Have you ever been to the beach in San Diego? It's amazing. Stunning photos! I think you perfectly display that relaxed beach charm. 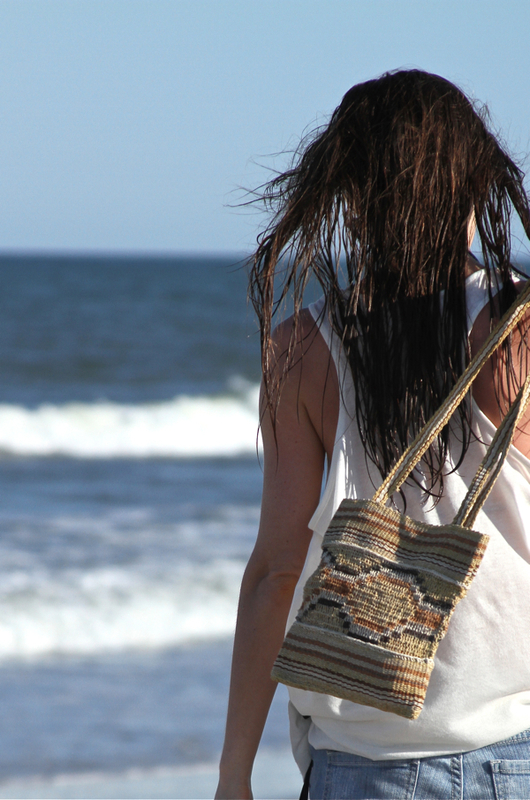 The bag is a great way to be chic at the beach! 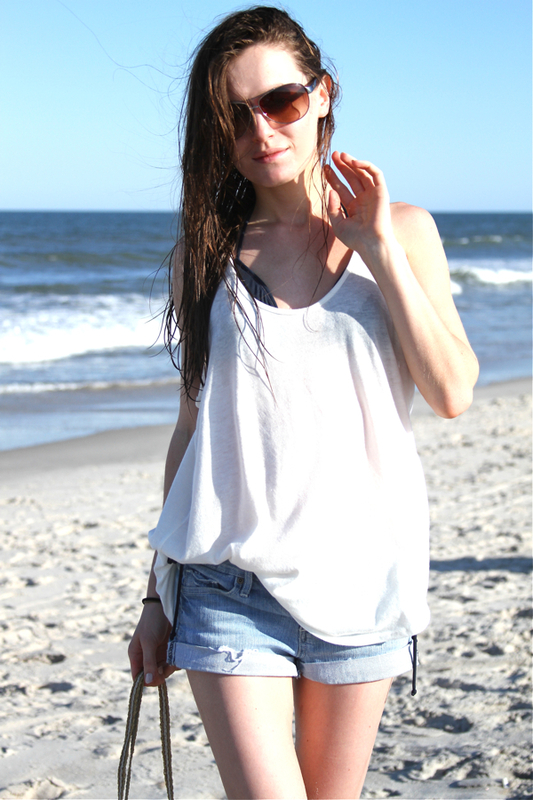 This is the perfect beachy, summer look. I absolutely love white tops with denim shorts. your outfit is so beachy and simple. Nothing better than sporting a look like that on the beach! thank you <3 and what you have here! amazing photos, i'm jealous! Completely jealous is all I can say! What beach is this? Love the beach style! You look amazing! Both gorgeous! You and the sea I mean!!! cool photos! oh i need a beach break! Love your little woven bag! Perfect for the beach! oh my god you're really beautiful! enjoyed reading your blog so much and following now. 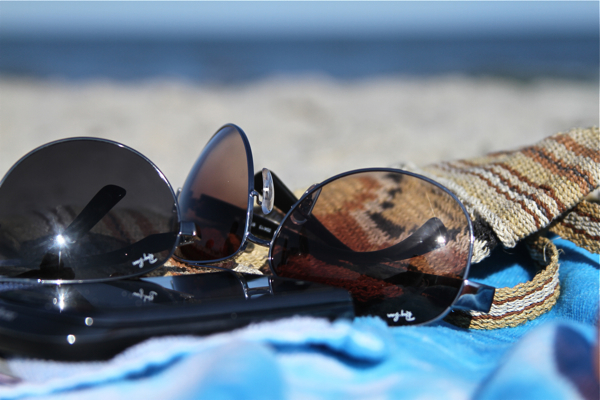 Very chic even at the beach! Great pics and outfit. Perfect beach ready, simple style. oh!! can we trade places ??? :) Lovely pics. so are you from the US? you have a very unique look. Good thing of course. :) Have a happy day. I would love waking up to the sounds of the waves :) Love your outfit, it's so simple and beautiful to go to the beach!! Really nice pictures! I also should take pictures at the beach.. Never did it before and I've been living near a beach all my life ahaha. Thank you for all the nice words, guys! at the moment we have 12°C!!!!!!! and you are talking about beach!!!!!! thats not fair! ;)) love the small bag! nice pics there,check out my blog will u ? http://mwanwan.blogspot.com, follow it if u like it, ill def do the same if u like!